It's the coldest day of the year and EVERYTHING is covered in snow! Even Mr Brown Mouse's house is covered in snow! 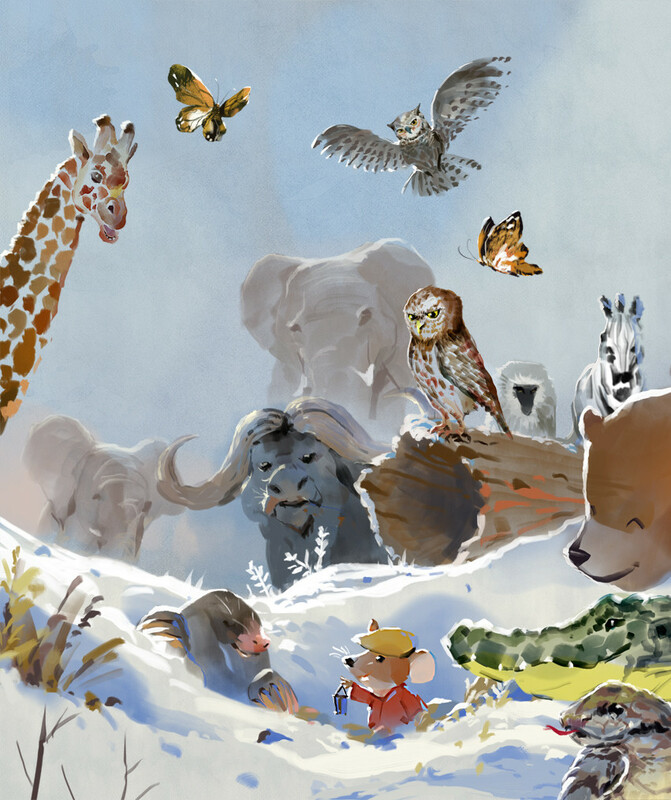 Join all the animals of the forest on this awesome adventure to help Mr Brown Mouse. But who's the best at digging tunnels? And where is old Grandpa Mole anyway? An awesome story filed with characters, community, a desire to help, and a lot of cold, cold snow. Multiple character voices, beautiful music, sound effects, and narration. 12:06 minutes. Perfect for bedtime, road trips and more!